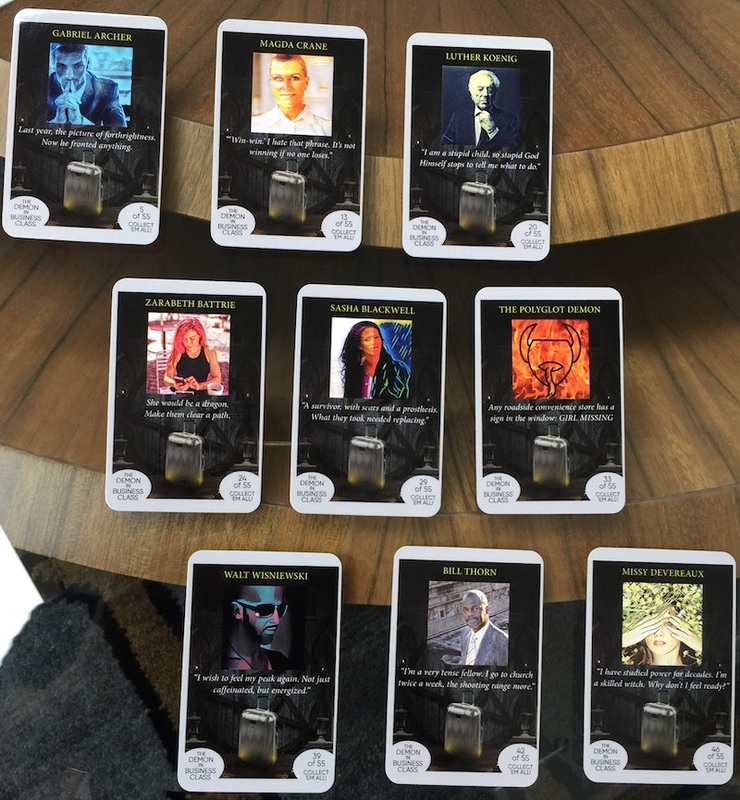 Hello CapClave – Trading cards now REAL! I’m paneling and reading starting today at CapClave in Rockville MD. It’s a very different kind of personal appearance than my work at convention booths, with panel discussions of literary topics, and a half-hour Saturday morning to read my work. In celebration, my social media promotion has slipped the surly bounds of cyberspace and achieved card form! It’s also a small test run of this promotional idea! Here’s my CapClave schedule – for full details, see CapClave.org and find me under “Participants.” See you there! Fri 6p – Whatever Happened to the Standalone Novel? Fri 8p – Who’s the Bad Guy in a World Without Absolutes? Fri 11p – How Graphic is Your Novel? This entry was posted in craft, novel and tagged capclave, cons, convention, conventions, literary con, marketing, promotions, social media, The Demon in Business Class, trading cards on October 7, 2016 by .